Is there anything for young people in ‘Tell, Serve, Give’ in Warrington? I blogged about Tell, Serve, Give recently. I said we hoped to serve the community as well as telling people about us in the Church of England in the area. You may think that most of the events were for old, or middle-aged, people. That’s because some are, and others are primarily for adults. But there are also family events. I’ll tell you about them in another blog. Overall, we hope there will be things for people of all ages. What events will serve young people? but the big one is called Chip Kendall’s Big Praise Party in the Parr Hall on Friday 8th from 1.30 to 2.30 pm. AND Chip is leading Active Church in Christ Church Padgate on Saturday 9th at 10 am. OK – but who’s Chip Kendall and how will he serve us? He’s a man who loves worshipping God and who loves having fun. He especially loves doing those two things together. Trust me – I’ve seen how he does it. We need someone like him in every church. Author John MurrayPosted on February 19, 2019 Categories UncategorizedLeave a comment on Is there anything for young people in ‘Tell, Serve, Give’ in Warrington? What is ‘Tell, Serve, Give’ on 6th – 10th March in Merseyside and Warrington? Who is going to Tell, Serve and Give to whom? Tell, Serve, Give is the name of a series of open-to-all events which Christians who are in the Church of England throughout the Diocese of Liverpool will be holding. They will mostly not be religious or formal, as we want to have fun. We often do, but not everyone knows that. As I live in Warrington, I will be blogging about events in my town, but Anglicans are doing similar things everywhere from Liverpool to St Helens and Wigan. So, if you live in any other part of the diocese, look out for events near you. You may well find a bishop joining in with local Christians, but remember they are human and want to have fun too. Why is it called Tell, Serve, Give? tell you what we believe and what we do, and to answer your questions. serve our communities, not only for a few days, but in the future too. give you a warm welcome and a happy experience, and to give something of ourselves. What is will happen for Tell, Serve, Give in Warrington? Watch this space, as I will let you know about more events and give you more details soon. One of the first events of Tell, Serve, Give, is this tea dance. This is one location where the Bishop’s Bake Off will be held. Tell any keen bakers! This is another location you can tell your bakers about. Author John MurrayPosted on February 17, 2019 Categories UncategorizedLeave a comment on What is ‘Tell, Serve, Give’ on 6th – 10th March in Merseyside and Warrington? Short story: an amateur detective investigates a horse dealer. Does my amateur detective ride a horse? Not usually, but my hero, Frank Hill, is an accountant who finds himself investigating a murder. He can’t think of a better way to getting to meet a horse-dealer than looking at a horse he has for sale. This short story is an extract from Accounting for Murder, Book II, Old Money, which is not quite ready for publication. I am publishing this on the blog as I think it gives some insights into Frank’s character, as well as being a story in itself. A horseshoe. Did this horse bring Frank any luck? Wait for the book! TO BUY OR NOT TO BUY A HORSE? I had done quite a bit of riding but was out of practice and was relieved when Cathy gave me a lesson on one of the riding school’s horses. It went well and I felt quite confident as we drove out to Colonel Arrowsmith’s farm, just beyond Castell Coch. The farmhouse and outbuildings were old but well maintained. Most of the walls were white, having apparently been rendered fairly recently. The exception was a line of new brick-built stables. After he had let us have a good look at him, the colonel’s groom tacked him up and led him to the schooling arena for me to try him. Cathy tried him first and said he seemed like a safe horse for a relatively inexperienced rider. We turned off the road onto a track through a small wood. After a few minutes there was a long straight uphill stretch. The colonel said, “Who wants to go first?” We elected him. He set off at a gallop. Blackie raced Cathy’s horse until hers got in front. Then he eased up to keep about a length or two behind. Something darted out from the trees. I felt my heart miss a beat. The hunter checked his pace, let the sheep cross to the other side and put on a spurt to catch up with the others. I had to work hard to get him to trot down the track. He seemed reluctant to leave the yard. Persistence paid and he gradually built up to a steady rhythmic pace. He stopped at the end without needing to be told and walked through the open gate. As soon as we got into the field, he came alive and I had a job keeping to a steady canter along the track worn in the grass along the bottom of the field. Once we turned the corner, he took off at a gallop along the track beside the perimeter hedge, which was punctuated by a series of trees. He ignored everything I did. I remembered Cathy’s advice on the way. She had told me to concentrate on sitting securely and in balance, to trust him to know how to look after himself and therefore me. The first jump came up sooner than I expected. It looked big. It was a brush jump. That is a lot of leafy twigs held at the bottom in a wooden frame. He slowed the pace just before take-off and aimed at the lowest part which he cleared easily. The next jump was a nice distance beyond the first, giving horse and rider time to recover and maintain the rhythm. It was a pile of horizontal poles. We went over that in a similar style but had to stretch more, which was no problem. I was beginning to feel confident as I eyed the third jump, a pole with a ditch under it. Suddenly I noticed something worrying. In the shade of one of the trees, an apparently solid object lay across the track. It would not have been visible from the top end and the colonel was unlikely to have been aware of it. A section of fence, previously filling a gap in the hedge, had fallen at an awkward angle onto the track. The horse was not expecting it any more than I was. He slowed and lowered his head to look. It was unjumpable but I hoped he was not going to try to stop, as he would almost certainly have stumbled over it. He did not. He swerved around it and back onto the track. This caused him to change his stride, losing the rhythm and caused me to tip, almost falling over his right shoulder. The next jump was getting very close and I was afraid we were not ready for it. I was amazed and relieved, when he put in an extra short stride and jumped at an angle, making it a much bigger and sharper jump than it should have been. I nearly lost my seat again. I was saved because he kept going and got back into his stride. If he had slowed down, I would not have. When we reached the colonel and Cathy, the horse stopped fairly abruptly but I had recovered my balance by then and was not troubled. “Thanks. I’m glad he’s such a good horse. He certainly knew what he was doing and reacted well to the unexpected hazard.” The hunter snorted and snatched at the bit, trying to get his head down to eat grass. I managed to restrain him. The colonel said, “Well, that’s what you want from a hunter. Just the thing.” I knew he was right. I loved the animal. I almost wanted to take up hunting, as he had given me such confidence. I dismounted and led him back to the stables. “Well, what do you think? Is he good enough for you?” I could hardly have imagined a better horse for me if I had actually wanted one. Would I always regret missing this opportunity? I had no idea how far-reaching my next decision was to be. “Of course. I’ll be putting him away.” He untacked the horse and led him away. I liked the idea of becoming a horseowner, if only temporarily. We all went into the house to go over the formalities. Cathy tried to get the price down a little and succeeded. The colonel made a pot of tea and brought out some biscuits. A decent selection. The colonel said, “Yes, quite. I’ve always loved hunting. Of course, it’s not what it was. Can’t chase a fox now, only run around after a false scent. Still, it’s fun and teaches you a lot. A lot about yourself as well as about riding.” I worried as I wondered what I was going to discover about myself. I thought someone called Arrowsmith was likely to have had ancestors making the arrows for the archers at Agincourt, not up the front with the nobility. However, I saw no point in raising it. I raised something more important. “Do you know the people who live in Castell Coch?” I waved a hand as if indicating its direction. It was a superfluous gesture. “No! Don’t want to. Don’t need their sort round here. Fellow goes off to America as if Britain’s not big enough for him. Then, once he’s made his pile, comes back to lord it over us. Should see the way he swans around in that big car of his, as if he was someone.” I didn’t know whether the colonel disliked the size of the car or the way it was driven. I did know that Davy was someone. A successful actor and producer. Now hoping to be a successful film company owner. Sian would have been proud of me for exercising such restraint and diplomacy. 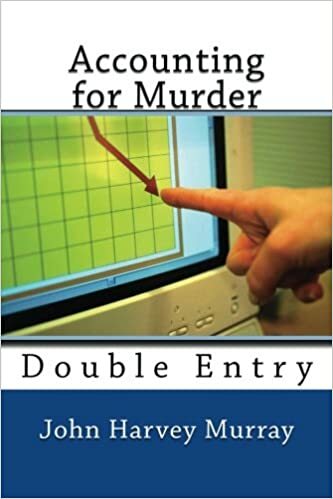 To read more about Frank Hill and his family, have a look at Book I in this series, Double Entry. Author John MurrayPosted on February 14, 2019 Categories UncategorizedLeave a comment on Short story: an amateur detective investigates a horse dealer. When and how did I know my faith was real? Do you wonder if your faith is real? I have written about my decision to become a Christian and about the beginnings of my journey to a real faith. Like many people, I was soon to question the validity of my decision. For many months after my conversion, I did little to implement any change, except that I joined a weekly Bible study, where I began to learn a lot. Who asked if it was real? It was about a year after the mission, when I went to a weekend houseparty at Weston-super-mare. We had times of worship and a visiting vicar gave some Bible-teaching, but students ran most of the meetings. Some people talked about the spiritual progress they had made in the year. They mainly talked about the way God had become more real to them. Some asked us all to ask ourselves if our faith was merely superficial. I began to doubt. I didn’t really doubt God as much as I doubted myself. Was I a phoney? I spent many hours asking everyone what I could do to be sure. We went round in circles. By the Saturday night, I was very worried. I had a bad night, dreading the next day. We all planned to go church in the morning, mostly choosing one different from whatever we were used to, and then to hear a final talk from the visiting vicar after lunch, before we went back to Bristol. Could I find real faith on the sea front? On the Sunday morning, I got up early to get some time by myself with God. (Don’t say you don’t believe in miracles). I went to the front and saw the sun shining on the mud. I was alone, until a man appeared: the Reverend Lawrence Denny, our visiting speaker. As he was probably hoping to be alone with God too, I tried not to bother him, but he asked how I was. I was evasive, but he was good at his job and got it all out of me. I got some real help. The vicar reminded me of some of his talks. He quoted Jesus, “You are Simon, you will be Peter”, meaning God has plans for you that mean changes, but let them be the ones God wants. Don’t try to be like someone else. Jesus didn’t say, “You are Andrew (or whoever) you will be Peter,” as his plans for Andrew were different. My mistake was that I was worrying that I wasn’t like some of the other Christians who had been talking about their experiences. What was the real issue? Another quote was, “You did not choose me, I chose you.” Rev Denny asked if I thought God had chosen me, adding that this ‘chance’ encounter was a clue to the answer. Strangely enough, he managed to make me laugh. He was just the right person to get through to me right then. If I didn’t know God very well, he knew me! Finally, I understood that what mattered wasn’t my feelings, but my response to God. I should trust and obey him as far as I could, and let him worry about things I couldn’t control. Those words have come back to me often over the decades. Did people in Church find God was real? After my talk with the vicar, and after breakfast, I went to a Brethren church. A lot of people talked about the reality of God in their lives. These were not students who had been Christians for a year or so longer than I had. These were old men who had found God real through two World Wars and a lot of hardship in between. It put things in perspective. By then, I had already made another big decision. It was to do as the vicar had said. Did God become real to me then? The service ended with Holy Communion, or the Breaking of Bread, as they called it. After I had received the bread and wine, I felt a real peace and a confidence that I was a Christian and my life was in God’d hands. I have had my ups and downs since, but I have never really worried that my faith was phoney. When I ask myself if God is real, I often remember a story a friend told me. She once went to Northern Ireland, to a beauty spot on the very North East. The guide promised you could see Scotland from there. However, it wasn’t a clear day and she couldn’t see it. The guide was most apologetic and said, “I assure you, it really is there.” My friend didn’t doubt that Scotland really was there, even on a hazy day. In the same way, God is there, whether he feels real to you or not. Author John MurrayPosted on February 1, 2019 Categories UncategorizedLeave a comment on When and how did I know my faith was real? Easter is over, it must be Spring. What now? Try Alpha! Happy Easter! Here’s an invitation & a mystery for you to ponder. Did I have to deal with sin on my journey to faith? Am I religious? The answer might surprise you. John Murray on Has the sermon had its day? Is there an alternative? karl warburton on Has the sermon had its day? Is there an alternative? La Crime Story on What kind of crime-fiction writer am I?